Simply order your prescription from your surgery, then a member of Gohils Pharmacy will collect and dispense your medication from Gohils Pharmacy. Gohil’s Pharmacy is located in Clover House, Boston Road, Sleaford. Gohil’s Pharmacy prides itself on offering outstanding service always to our customers. Gohil’s Pharmacy was established in 1976 and is an independent, family run pharmacy which is supported by friendly experienced staff. Free on site parking is available to our customers. Gohil's Pharmacy are now offering both NHS and Private Flu vaccination services. Gohil's Pharmacy offers a confidential emergency contraceptive service, which allows you to obtain the ‘morning after pill’ without seeking a Doctors consultation. If you're planning a holiday and are unsure of the vaccinations you require or need some advice on travelling with Medicines Gohil's Pharmacy offer a Holiday Health care service. If you suffer from, or feel you may suffer from, incontinence - you are not alone. Taking prescribed medicines in the right way is important to your health and recovery. 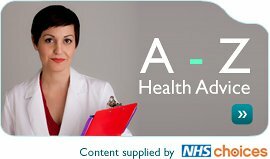 A Medicine Use Review provides you with the best possible advice and how to get the most from each medicine you take. Gohil's Pharmacy provides free home delivery of prescriptions to customers in the Sleaford area.